Just a few things we'd love to achieve in office. Animal Crossing 3DS is one of the system's most intriguing games, largely because the Nintendo community knows so little about it. The publisher has kept most of this highly anticipated title under wraps, only releasing a handful of screens showcasing a variety of activities, such as bug catching, socializing with animal friends and swimming, which is new to the series. That said, the big N did release one very interesting bit of info. This time, instead of just living in the town, players will take on the role of mayor. Unfortunately, Mario and Co. didn't elaborate on what this presumably important job entails, opening the door for good old-fashioned speculation. Personally, we can't wait to take office, and made a list of things we'd most like to do. We vow to go door to door to earn those votes. If there's one thing the U.S. has a shortage of, it's holidays. Well not in Animal Crossing. As mayor, we vow to celebrate something...anything really...at least once a week. Nintendo should let us make up holidays and then put them on the game's internal calendar; the animals would, of course, recognize them. Hmm, International Awesome Day sounds like a great idea. Mayors are all about grabbing oversized scissors and cutting big red bows to kick off important events. We'll probably never have the honor in real life, but in Animal Crossing 3DS, it will be a daily occurrence whenever the museum puts new fossils on display. Eventually, mayors serve a full term and come up for re-election. Would be cool to campaign door to door convincing the animals why electing us to office is a smart idea. The game could even randomly generate opponents. We'd win every time, of course. Mayors have the residents' best interests at heart, and we'd love to create things that benefit the community, including parks and community housing. The more bells, the better. 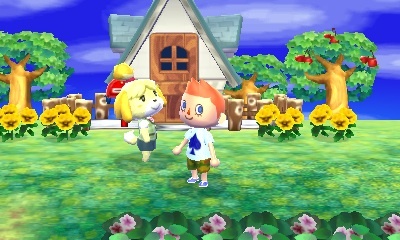 Tom Nook's not the only Animal Crossing resident that puts folks to work. As mayor, we expect to find jobs for the townsfolk, hiring them to build roads and man the local police force and fire department. We could also use an assistant, or five.